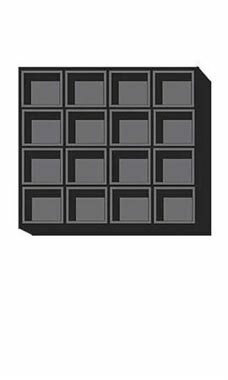 Black Flocked Tray Inserts with 16 Compartment Sections is an essential jewelry insert that acts as a displayer and organizer in one. Each compartment is designed to hold jewelry components and accessories with ease. The tray is made from a flexible molded plastic with black flocking over the top to give the appearance of velvet. These trays are designed to be used along with our 8” jewelry trays.